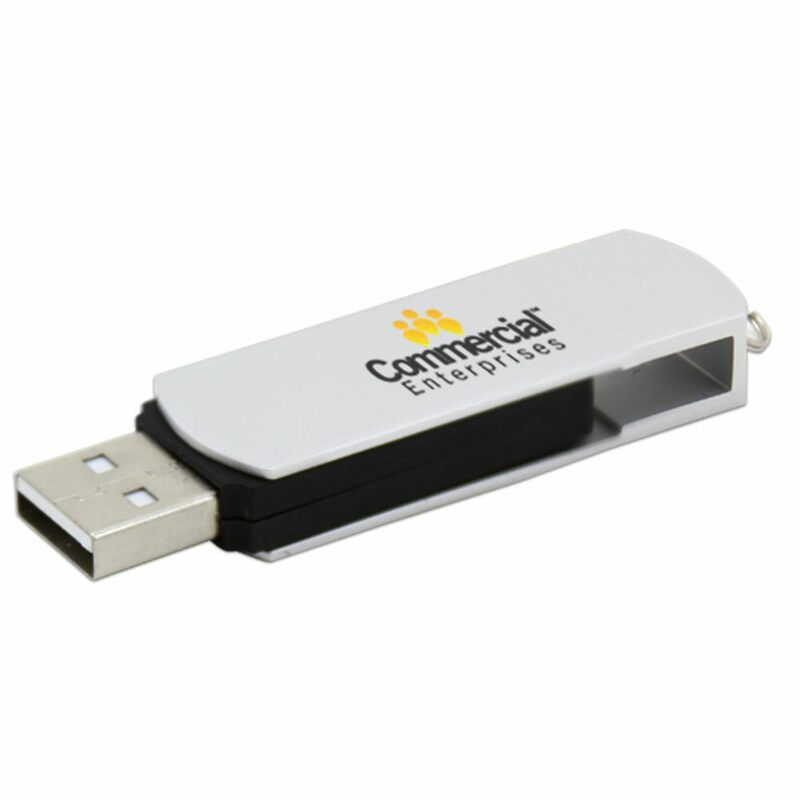 Make your data look classy with our Deluxe USB custom drive! This customizable drive features a capless design. Made out of durable plastic, it has a protective aluminum swivel clip. The Deluxe drive comes with FREE 4-Color Printing, so you can personalize your drive by printing your logo or brand on the sleek metal swivel clip. It has a built-in key loop and comes with a limited lifetime warranty. 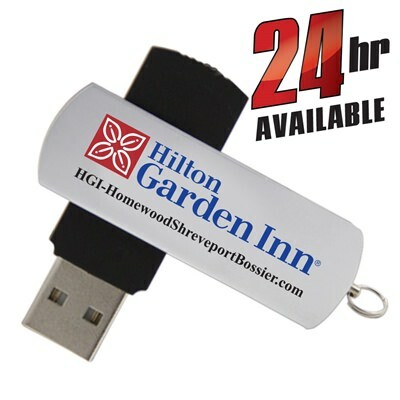 This branded USB is available with FREE shipping. 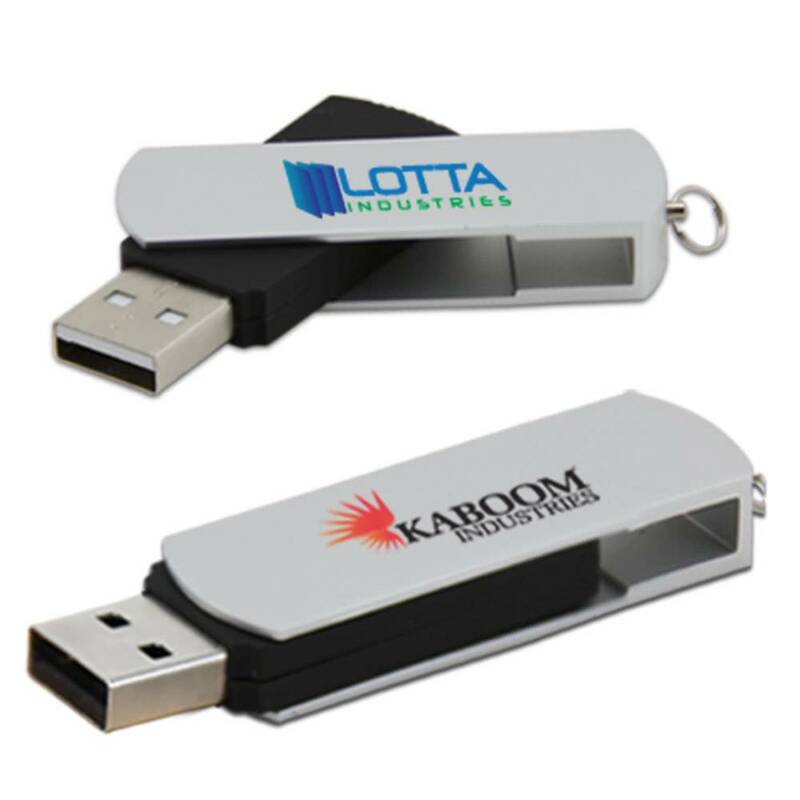 Store your data with style and safety in our Deluxe USB custom drive! 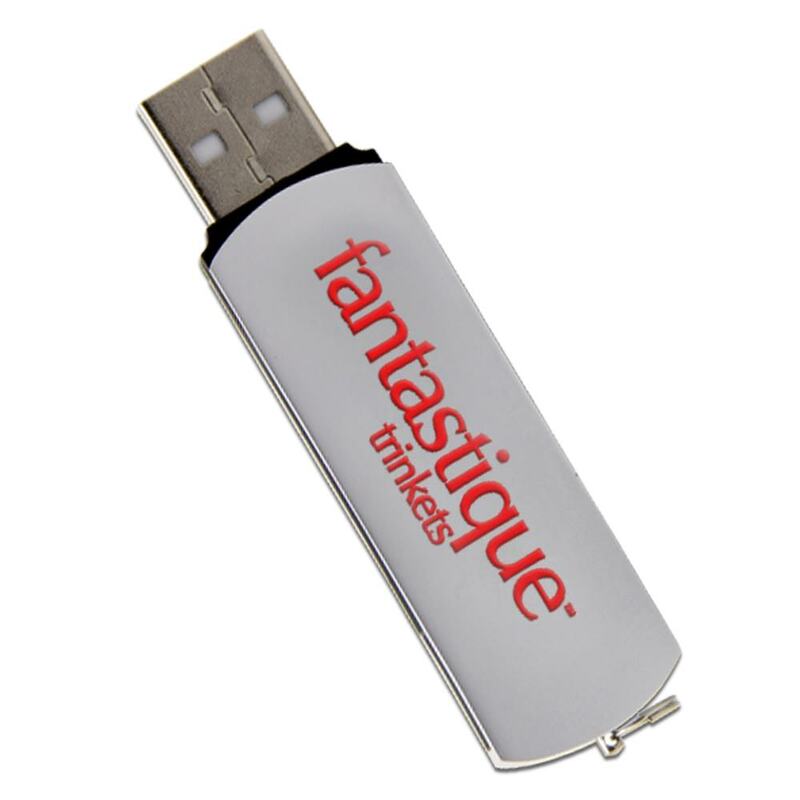 This handsome customizable drive is made out of sturdy plastic and comes with an aluminum swivel clip. It’s a capless design: The protective metal swivel cover will keep your drive safe whenever it’s not in use. The Deluxe drive comes with FREE 4-Color Printing, so you can personalize your drive by decorating the sleek swivel clip with your logo or personal brand. It has a built-in key loop for easy transport. It comes with a shock resistance of 1,000G, up to 10 years of data retention, and a limited lifetime warranty. The Deluxe custom drive is available with FREE shipping. Turn time for customizing your Deluxe is 10 business days in Standard and 1-3 with Express. It also has 24 hour availability.